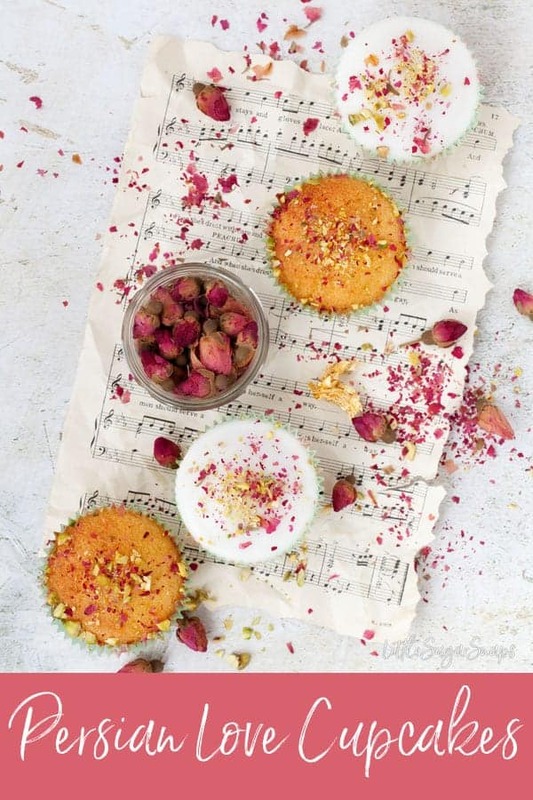 These pretty Persian Love Cupcakes will enchant you with their looks and flavour. 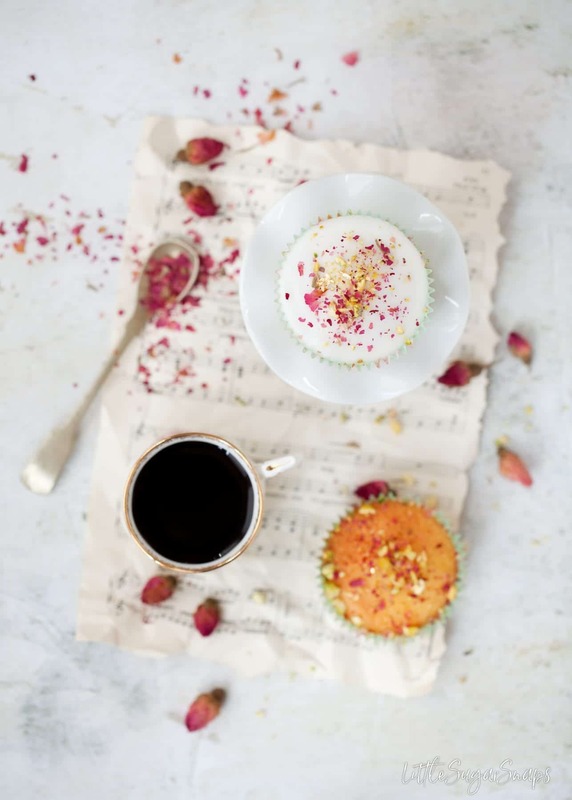 Simply, yet effectively decorated, these little cakes are bursting with flavour. Rosewater, orange blossom, lemon & almond feature in the sponge which is topped with both a lemon saffron drizzle and lemon icing. Valentine’s Day is just around the corner and whilst I’m not one to really celebrate it, I don’t want to be a party pooper for anybody that does. Each year I try to come up with something that has a romantic twist to it, but is still perfectly acceptable to serve any time the mood suits. So far I’ve covered Prosecco Truffle Pots, Orange Caramel Linzer Cookies and Chocolate Dipped Raspberry Marzipan. The latter two recipes can be turned into suitable Valentine’s treats by using heart shaped cutters. And all are perfectly acceptable to serve throughout the year – with or without hearts. Not bad for a sideline effort. This year, I’ve gone a step further and made some Persian Love Cupcakes. 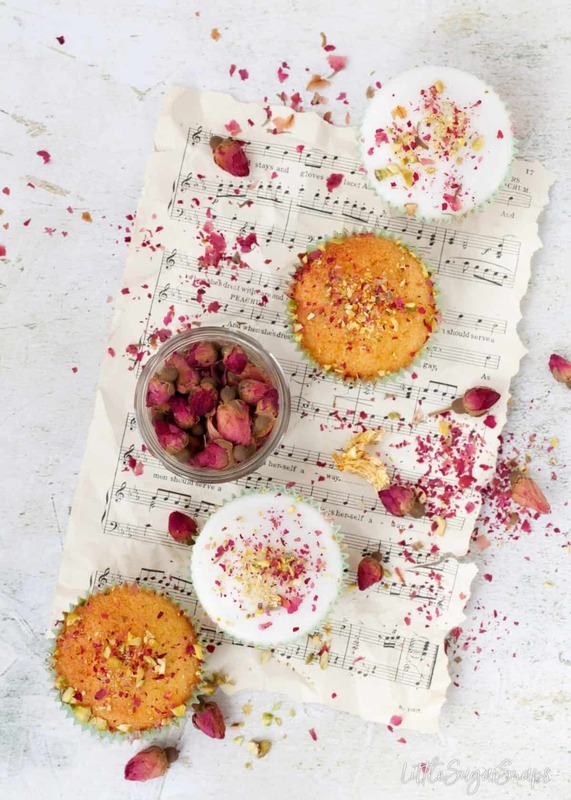 These little cakes are about as romantic as a cupcake could be since they feature rosewater and edible rose petals. They also taste deliciously & delicately floral. But they are not specifically linked to Valentine’s Day. 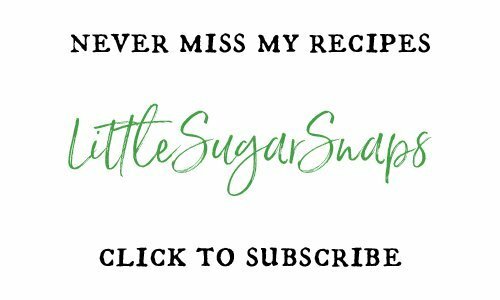 What are Persian Love Cupcakes? 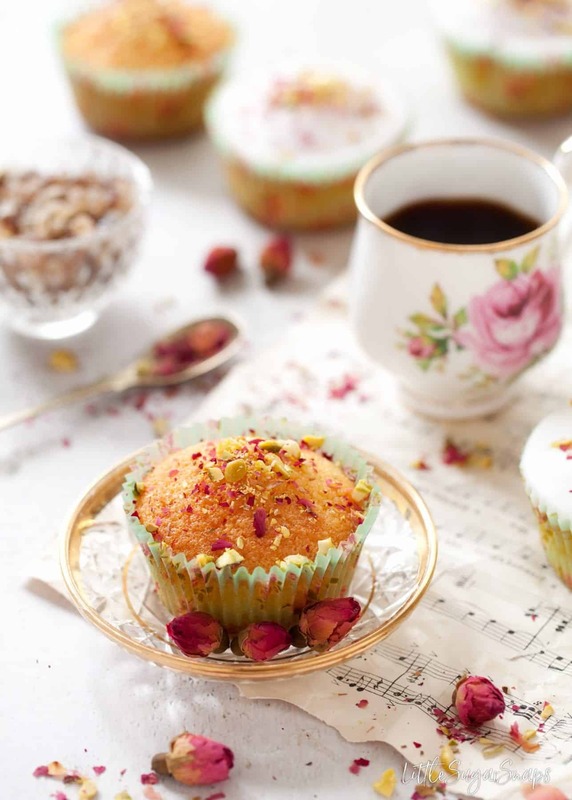 Persian Love Cupcakes are my twist on the popular Persian Love Cake. Have you heard the story behind the love cake? If I still believed in fairy tales, I wouldn’t know which ending to accept. But at least cake features in all versions. Just a word of warning – not all rosewaters are equal. Some are much stronger in flavour than other. 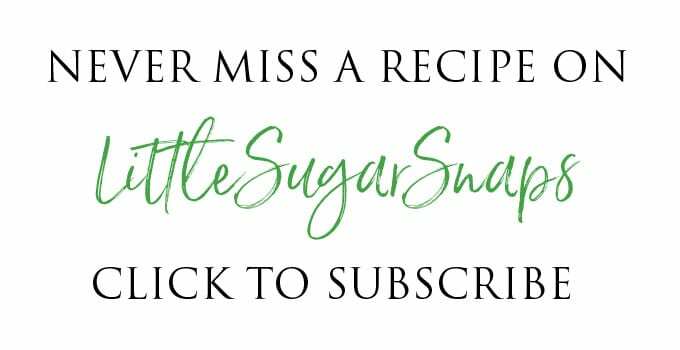 I have quite a strong bottle on the go at the moment, but if you know yours is on the mild side, feel free to add a little more to my recipe. 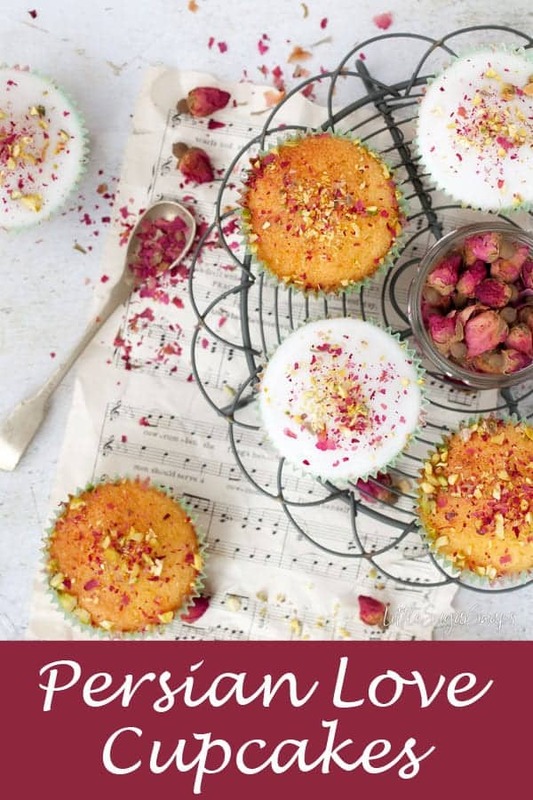 All in all, these Persian Love Cupcakes manage to combine complex flavours and create a cake that is as striking to look at as it is to eat. 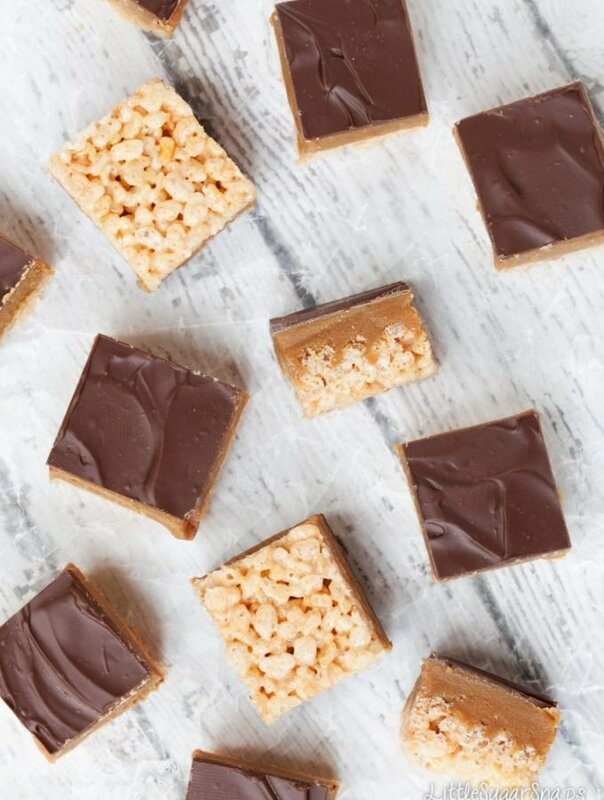 I left a few without icing on to cater to the taste preferences of my husband. These were just as delicious (if slightly less sweet) as the iced cakes. My husband commented that un-iced, these cakes reminded him of Turkish delight. That can only be a good thing. 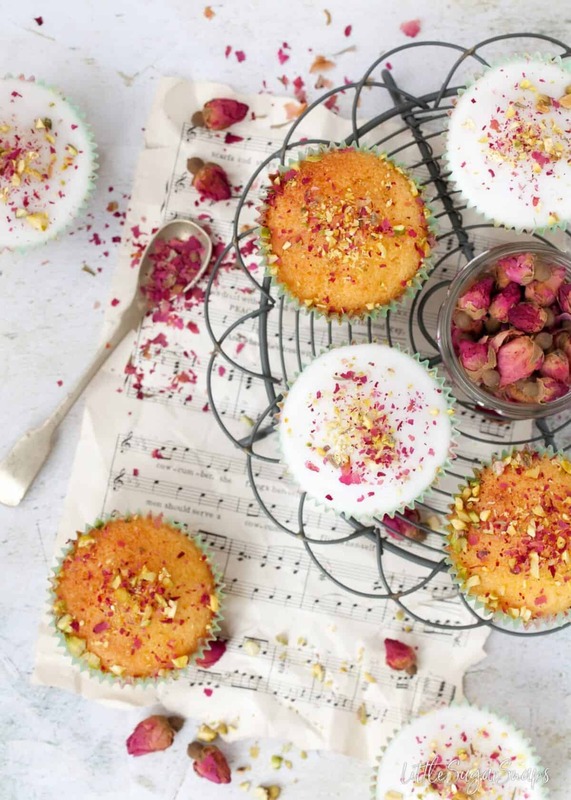 If you’re feeling extravagant, I suggest using a smidge of edible gold leaf to add a little extra sparkle and excitement to these Persian Love Cupcakes. They have royal heritage after all. 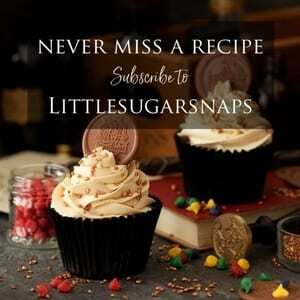 Sieve the icing sugar into a small mixing bowl, add 1/2 the liquid and stir until smooth. Keep adding more liquid, bit by bit, until a thick but slightly spreadable consistency is achieved - it should just fall off the spoon. Best eaten within 2 days. Store in an airtight container. Not all rosewaters are equal. Some are much stronger in flavour than other. 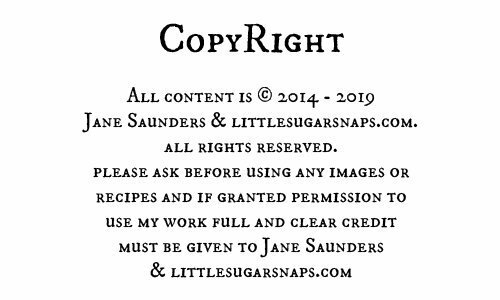 I have quite a strong bottle on the go at the moment, but if you know yours is on the mild side, feel free to add a little more to my recipe. it's definitely better to be cautious if you are not certain - too much rosewater can be overpowering. Love these pretty cupcakes! The flavors are so intriguing!